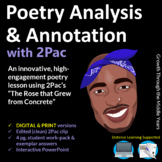 Poetry Study: Tupac Shakur's "The Rose That Grew from Concrete"
The Rose That Grew from Concrete lesson plan contains a variety of teaching materials that cater to all learning styles. Inside you'll find 30 Daily Lessons, 20 Fun Activities, 180 Multiple Choice Questions, 60 Short Essay Questions, 20 Essay Questions, Quizzes/Homework Assignments, Tests, and more. 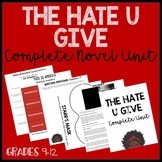 This includes the song Rose that Grew from Concrete by Tupac Shakur along with standards aligned reading comprehension, figurative language, and analysis questions. Short analysis of Tupac Shakur's famous poem, "The Rose that Grew from the Concrete." 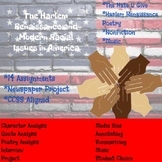 Three discussion questions follow the poem by Tupac. Used during Black History Month in a 6th grade classroom in Oakland, CA. Using the poem "The Rose that Grew from Concrete" by Tupac Shakur to make inferences and analyze poetry. The poem and bio are not included for copyright purposes. Both can be found online. 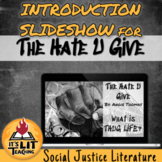 This download is an assignment that directs the students to compare Hawthorne's The Scarlet Letter to Tupac Shakur's The Rose That Grew From Concrete. 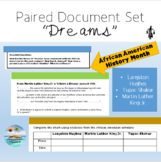 The students will answer questions over the comparisons between the two pieces of literature. Poetry Introduction - Read and rank 5 poems.